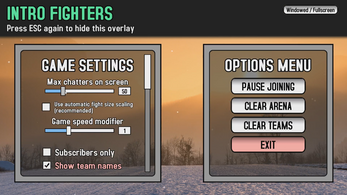 Intro Fighters is mainly meant to be enabled during quiet times while streaming, such as intro screens, breaks, etc. Basically it's something that can entertain your viewers when there is nothing else happening. 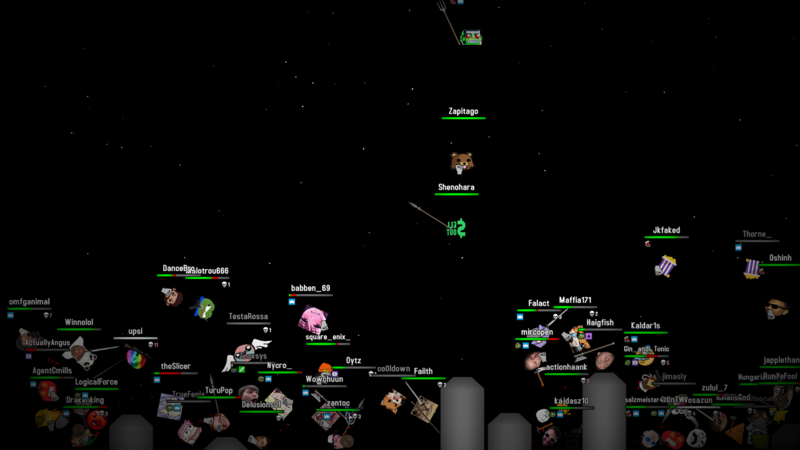 Once the game is up and running, anyone that types in the selected channel's chat are placed in a queue. At some point that person who typed in chat will spawn in the game and will automatically start fighting the other people that have joined. 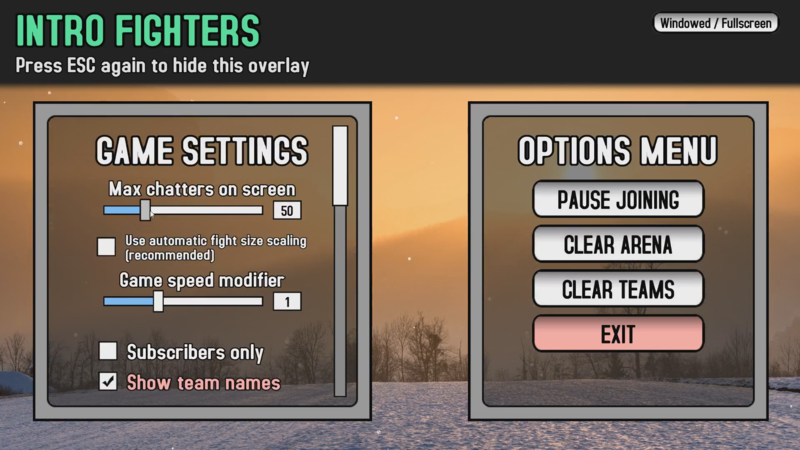 Intro Fighters requires you to generate an Twitch OAuth token in order to connect with the Twitch services. You can either generate an OAuth token on your own or use a 3rd party site.